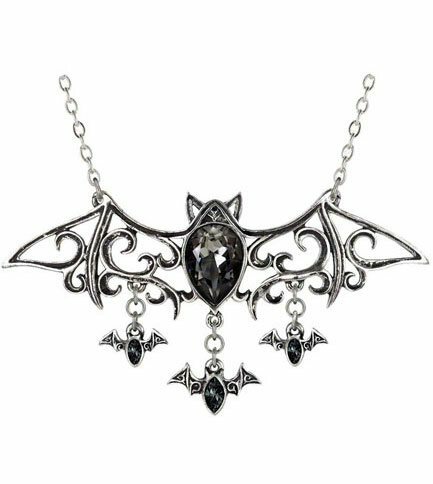 This spectacular necklace, the quintessential creature of the night is formed with decorous Renaissance scrollwork. This beautiful bat measures 3.86 inches Width by 2.01 inches height. 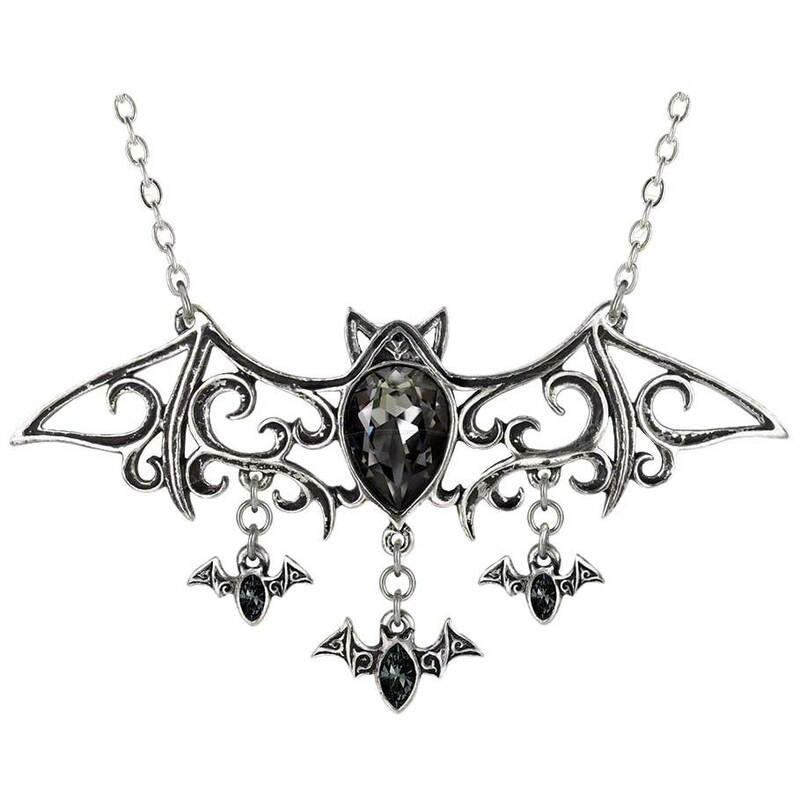 Each bat has a jeweled belly. By Gothic Alchemy.